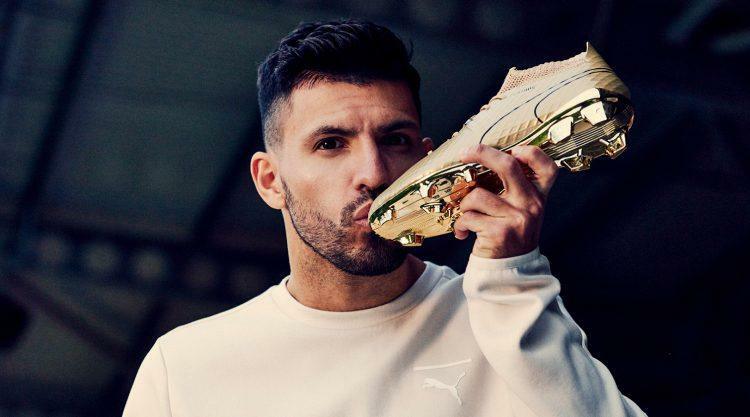 With his 178th goal for Manchester City FC against SSC Napoli during the recent Champions League fixture, Argentine Striker and PUMA Athlete Sergio Agüero has now officially become the clubs all-time best leading goal scorer. It was inevitable that Agüero would go down as one of Manchester City’s greatest players in history. The 29-year-old has set new levels of brilliance, dumbfounding Premier League opponents since he first set foot on English ground. His playing style has become iconic and is coined his by pace, strength, dribbling ability, agility and pure desire to hit the back of the net. The boy from Buenos Aires has matured to one of Europe’s best and deadliest strikers and it comes as no surprise that he has surpassed Eric Brook’s tally of 177 goals for „The Citizens“ with ease. It is a club record which has been unrivalled for 78 years straight and it took Brook’s eleven years to set it. Agüero did it in six. 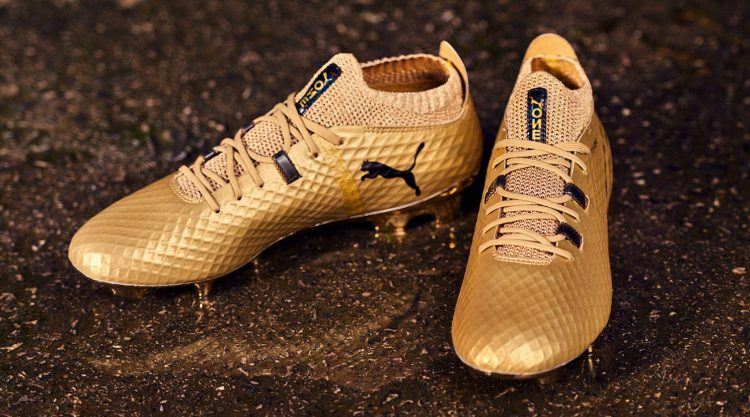 To celebrate and honour Sergio’s performance PUMA has fitted him with the special edition PUMA ONE Gold boots, which he will be wearing in Sunday’s Premier League clash between Manchester City and Arsenal. 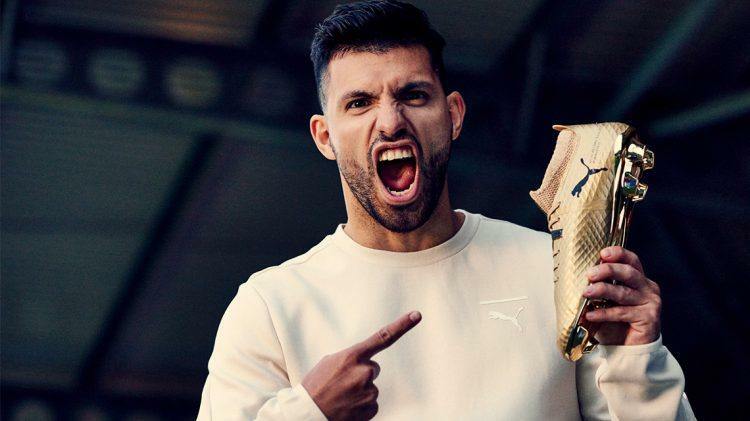 The engravings, ‘MCFC RECORD GOAL SCORER #NEWLEVELS’, on the boots might even be a bold prediction for Sergio. It is no secret that it is his dream to add the Champions League trophy to his success story cabinet.